That’s twice this week your Burger lovin’ pal, The Rev, has been on TV! 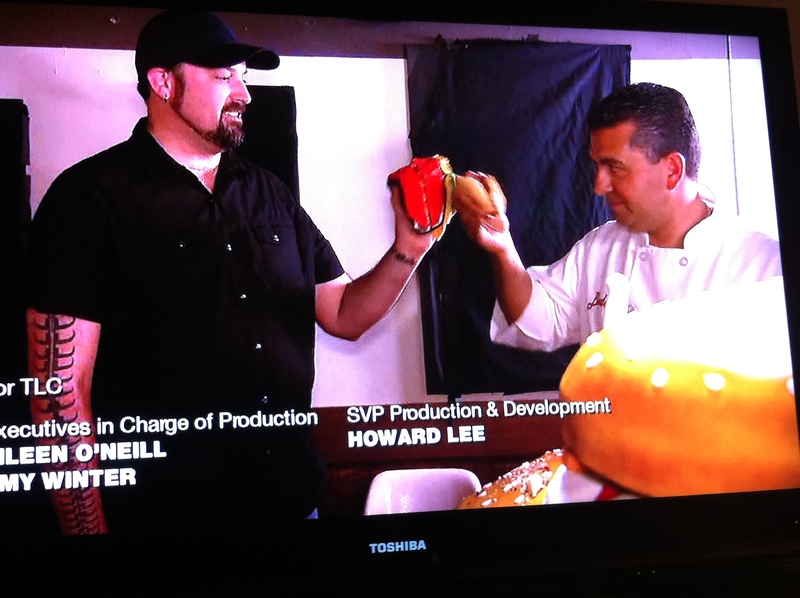 On Monday, TLC’s “Cake Boss.” featured me and Idle Hands bar and last night I was back on CBS’s”Big Brother“, for a second time this season! The story goes like this, now that I have been on 6 different networks for reality TV and appeared in countless music videos, it’s obvious, my true calling is to be an on screen mood enhancer. TV executives clearly believe that I not only represent the people but also I make TV more entertaining with my charm, passion and good looks. Why else would TLC do an entire feature on me? It’s obvious they love my bar, Idle Hands and think I am a very interesting person, whose story is worth sharing with their audience. CBS’s has put me on their huge summer prime time priority programming for a second time! Granted, that’s more because my good buddy Adam Poch is a contestant on the show and his amazing girlfriend Fara has been great about rounding up #TeamPoch to show their support. Wanna get a little closer to being Burger Famous?!?? Join us, and Fara, at Idle Hands on July 28th for a “Big Brother” viewing party. 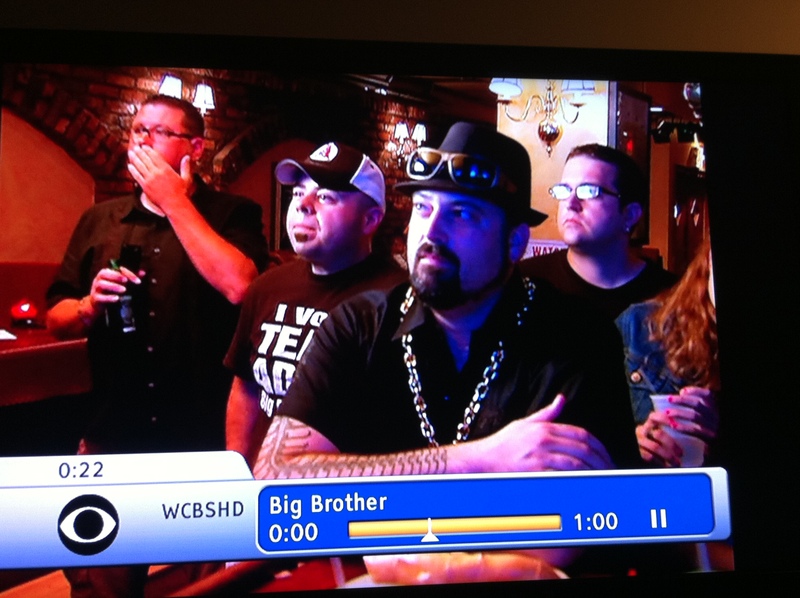 Adam Poch, host of Active Minds Team Trivia league at Idle Hands is a contestant on this summer’s “Big Brother” on CBS. 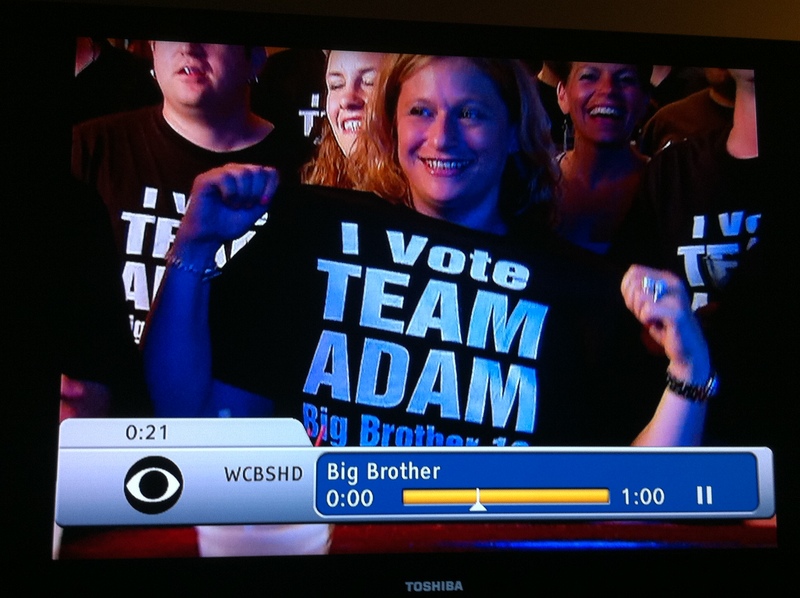 Come on down on the 28th and cheer on Adam with some Bourbon, Beer & “Big Brother!” TVs will be on with sound. Adam loves Bourbon, Bacon and especially, Idle Hands and we thought it would be fun to do a viewing at Idle Hands!! Please come down and support Adam! Thanks! 9-10 pm: “Big Brother” Live! With yummy cupcakes from The Land of Cake Believe! This entry was posted in Bar, Beer, Burgers, Event, Hamburgers, New York, TV and tagged adam, adam poch, arthur's tavern, bb13, big brother, burger, Burger Famous, cheese, ciancio, conquest, french, fries, great, hamburger, hoboken, new york, ny, nyc, rev, review, season 13, season premier, teampoch, television, the rev meter for social community, truck, tv, willie mcbrides. Bookmark the permalink.